So you never forget the day she said it. Magical. Eternal. Wonderfully vibrant. 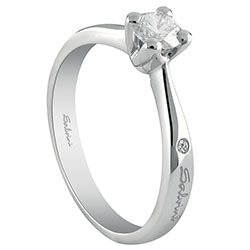 A diamond is a dream to give to the person you love, and a solitaire is its purest form. You have decided to ask the most important question of your life. Here are a few tips for making this moment even more magical for both of you. Pay attention to detail. If you want to surprise her you have to act normally and leave no traces. Delete your browser history and keep an eye on your bank statement. Ask for help. Involve just a few trusted people, they will be your accomplices in this adventure. Speak with them. Yes, the people in question are her parents. You don’t have to ask their permission, just make them feel part of your new life together. Choose your friends who can give him the most help in organising the perfect moment. 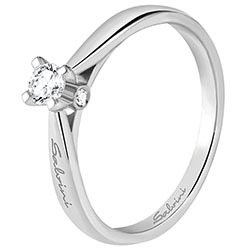 If you are a very practical couple there is nothing stopping you being explicit and you could even choose the engagement ring that marks your decision together. 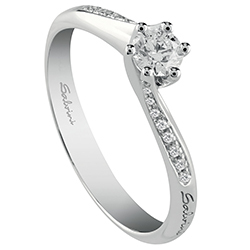 The traditional diamond solitaire ring is the quintessential symbol of faithfulness and eternity. Wonderful and unique, just like love. There are many different models – in white gold with rose gold details, simple or full pavé, large or discreet. It all depends on the style of the person you are buying it for. There is just one little rule: go for quality over weight. 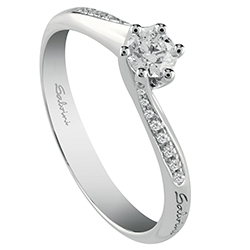 The diamond and the shape of the ring must reflect the preciousness of your love; a diamond ring is the perfect choice, as valuable as the sentiments it embodies. A choice based on substance rather than appearance, on constancy rather than frivolity. A choice for life. 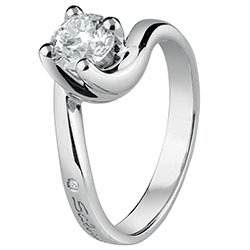 Don’t forget to showcase the ring with a box that enhances it and protects it like a treasure chest: it must chime perfectly with the precious gift it contains. Write to us in the live chat (Mon-Fri, 9 a.m. to 6 p.m.), by email or contact us using the freephone number. 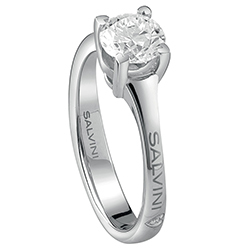 A Salvini expert will help you make the perfect choice. Inspired by your love, maybe on a special date for you, in an important place for your relationship, like the location of your first date. If you choose a restaurant ask the waiting staff to help you mark the moment with the perfect soundtrack – your song. Then you can get down on one knee and pop the question. You could organise a treasure hunt with little clues that eventually bring her to you. Each clue could be inspired by a special moment in your relationship, not just the romantic moments but also the funny and enjoyable episodes. Moments that tell your story. At the end of the hunt you will meet up and will be ready to ask her the question. Why not organise a proper party with your closest friends and surprise your other half when she is least expecting it? If you already have children, involve them. In fact, maybe they could ask mummy if she wants to marry daddy. According to tradition it is the husband or the husband’s family that buys the wedding rings but nowadays it is often the witnesses that give this gift. 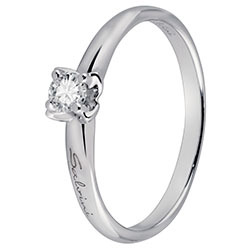 Usually the wedding rings are chosen together with those who give them. There are no rules when choosing the rings: a simple yellow gold band is the most traditional while rose gold is elegant and retro. 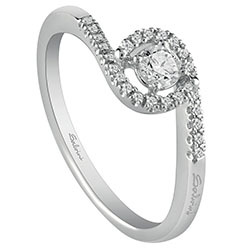 A gold wedding ring represents originality; with diamonds it exudes taste, class and romanticism. Remember that a wedding ring is a symbol you will wear forever, every day, and this is why you must make sure you choose one that fully reflects you. 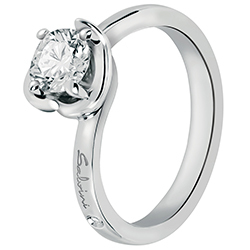 If you aren’t sure about which style of wedding ring to choose, visit the Recommended for you section to see what matches best with your engagement ring.